Heathcotes Group is constructing garden pods across its estates to provide self-contained space for its residents. 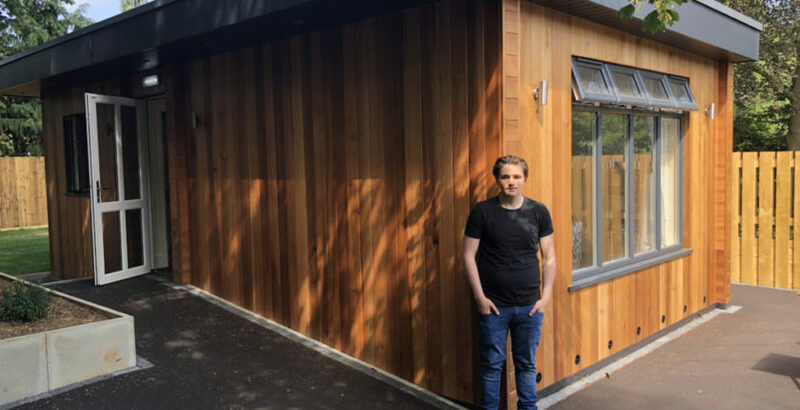 The first pod has been completed at Heathcotes Larkrise in South London, one of the company’s specialist residential services for adults who have Autism, complex learning disabilities and associated challenging behaviour. Rebecca Wright, Heathcotes’ Senior Commissioning Manager, said: “The pods are designed for single occupancy, with the option to socialise with other service users should they wish to, and they serve two main purposes. Firstly, they will be available for people who are leaving our services and require more of a supported-living setting. Secondly, they are available for individuals that are going through a crisis and require a solo environment with a view to transitioning into a larger home in the future. Designed by Heathcotes’ in-house architectural consultancy, JDS Design, the accommodation includes kitchenette, lounge, bedroom, toilet and shower room, private patio area and garden space. The company has earmarked the construction of three more pods at various services in southern England and four more at various services across northern England and the Midlands, subject to planning permission.